And Woolf was right. Faith Barrett ’87, associate professor and chair of the English department at Lawrence University in Wisconsin, proves that point. 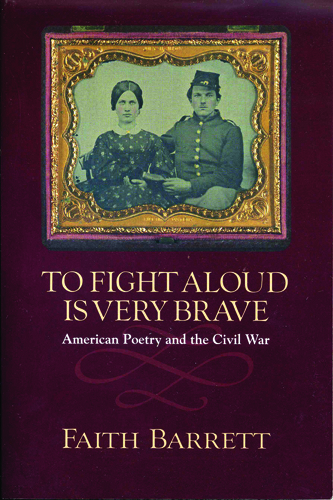 She takes the title of her profound new book, To Fight Aloud is Very Brave: American Poetry and the Civil War, from a poem by Emily Dickinson, who felt the loss of the war deeply and personally. This is news, as the poet is often painted previously as interior, solitary, sheltered from the world’s storms in her Amherst, Mass., home. Challenging convention, Barrett spells out why Dickinson belongs in the Civil War canon of American poetry, right up there with Walt Whitman. The bard of democracy traditionally gets all the glory for his elegies for the dead President Lincoln and his tender verses, sweet and sad, for wounded soldiers he saw during volunteer hospital visits in Washington. Whitman wasn’t an Army nurse but a bringer of small gifts and a letter writer to families. Barrett argues that Dickinson’s view of death on the field, by bayonet or Minié ball, is utterly bleak: “They dropped like Flakes – They dropped like stars – Like Petals from a Rose …” A soldier who dies by bloodshed goes to lonely nature, radically separated, gone for good. By contrast, Whitman infused Civil War casualties with meaning and heroism, an age-old cultural strategy to coerce soldiers to do their duty. At the 150-year mark of the Civil War, the moment is ripe to see how it inspired a profusion of poetry on both sides of the conflict, on and off the battlefield, from writers who were men and women, black and white, slave and free. In a spirit of critical inclusion, Barrett opens up new windows on our own cultural inheritance. Her major in comparative literature, studying with professors Nathalie Anderson and George Moskos, prepared her well. The strangest story told is about the tangled provenance of the song “Dixie.” Abraham Lincoln, knowing the power of poetry and song for wartime morale, asked his military band to play this anthem of the South, which he had conquered just days before he died. Reconciliation or spoils of the victor? As Barrett tells us, the composer was Daniel Emmett, “a white minstrel born in Ohio who performed in blackface” in New York and elsewhere. The author also focuses on Julia Ward Howe, the Boston Brahmin who wrote the majestic marching lines of “The Battle Hymn of the Republic” after a visit to Arlington, Robert E. Lee’s slave plantation, which was seized to set up a Union Army camp. Her words gave the Union cause new lift and righteous meaning, with “grapes of wrath” and other biblical images. Barrett discusses Herman Melville as well but also the lesser known Frances Watkins Harper, a poet-preacher-abolitionist of mixed race whose terrain was the dispossessed; Henry Timrod, a Romantic poet from South Carolina who mourned the crumbling Confederate cause, though his state continued to call it glorious; George Moses Horton, an enslaved African-American in North Carolina who delighted college students with his talent and rhymes. Once freed during the war, Horton traveled with a Michigan cavalry company and became free in his 60s. His body of work bridges the contradictions between Union and Confederate cultures. In the end, Barrett gracefully connects these poets to current United States poet laureate Natasha Tretheway, born to a woman of color and a Canadian man in 1966—only a century and a year after the Civil War ended, if it ever really did. Steven Epstein ’74, The Medieval Discovery of Nature, Cambridge University Press, 2012, 208 pp. Epstein examines the interaction of humans and nature in medieval Europe across a 1,000-year span, emphasizing the role of the assumptions and beliefs that shaped their view of their environment. Lee Devin and Robert Austin ’84, The Soul of Design: Harnessing the Power of Plot to Create Extraordinary Products, Stanford University Press, 2012, 178 pp. Examining the ways that successful innovators have brought products to the market, the authors provide clues to understanding why some products stand out and how they are made to do so. Ken Hechler ’35, Faith, Hope, and Parody, Pictorial Histories Publishing, 2011, 34 pp. This booklet by former West Virginia secretary of state Hechler contains a collection of parodies of well-known songs. Paul Jaskot ’85, The Nazi Perpetrator: Postwar German Art and the Politics of the Right, University of Minnesota Press, 2012, 274 pp. Combining political history with close analysis of specific artworks, the author shows how the influence of postwar Nazi Germany is more crucial to understanding a wide range of modern German art and architecture than cultural historians have recognized. Eleanor Morse ’68, White Dog Fell from the Sky, Viking Press, 2013, 354 pp. Morse tells the story of a South African medical student forced to flee to Botswana during apartheid. Once there, he works for an American woman before going missing, sending the woman on a life-changing journey to find him. Jeffrey Kahn ’75, Angst: Origins of Anxiety and Depression, Oxford University Press, 2013, 294 pp. Written for the general public, this book offers a revolutionary, evolutionary theory of the origins of anxiety, based on the human being’s unique ability to defy ancient biological instincts and, by their defiance, become susceptible to anxiety disorders. David Ochroch ’81, Software Manager: Guide to Negotiating Software Contracts, ECP Media LC, 2011, 51 pp. The author provides guidance on all the crucial aspects of negotiating software licensing agreements, breaking down actual contracts clause by clause and making them comprehensible. J.P. Partland ’90, Where to Bike: New York City, BA Press, 2012, 320 pp. With bicycling becoming increasingly popular, this book—with GPS maps, ride logs, and information on traffic and food sources—provides an excellent guide to the scenic bike routes that wind through New York City’s five boroughs and over to New Jersey. The Rev. 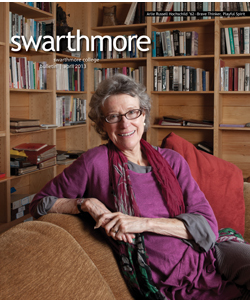 Roberts Smith ’63, God Did Not Curse the Serpents: She Is Love, Morris Publishing, 2010, 135 pp. 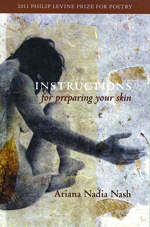 The author, an Episcopal priest, shares a 46-year spiritual journey, in which he advocates the belief that God did not intend women to be subjugated. Ralph Vardis ’87, Path of Fire, Damnation Books LLC, 2012, 196 pp. This story of good versus evil features a hard-drinking widower and involves the supernatural, Native American folklore, and tarot cards. 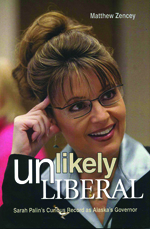 Matthew Zencey ’79, Unlikely Liberal: Sarah Palin’s Curious Record as Alaska’s Governor, Potomac Books, 2012, 209 pp. Zencey, an editor at an Anchorage newspaper during Sarah Palin’s time as governor, traces the former Alaskan leader’s transition from a bipartisan and progressive leader to a socially and fiscally conservative former vice-presidential candidate. Charles Dickens, Great Expectations, with introduction and notes by Jon Michael Varese ’94, Sterling Publishing Co., 2012, 450 pp. This new edition of the 19th-century classic—with Varese’s introduction, notes, and chronology, based on the book and other reading, is a part of Barnes & Nobles’ Signature Editions collection.